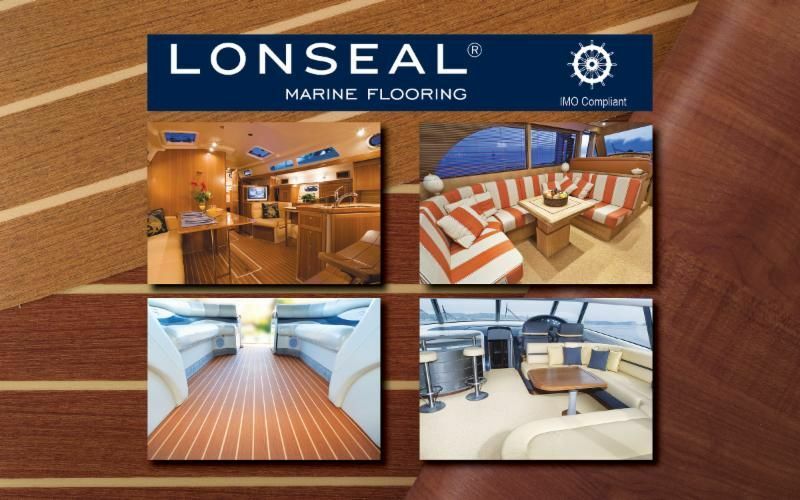 For over 30 years, Lonseal products have been at the cutting-edge of innovative marine flooring design. Lonseal’s sea-hardy surfaces provide customers with finishes that are as economical, practical and stylish. With an vast range of slip-resistant, sound-dampening, and cushioned-step surfaces - Lonseal offers a surface solution to all nautical flooring including, chartered matches, narrow boats and cruise liners..
LONMARINE STONE boasts a stylized marble pattern that helps mask the routine scuffing that can occur with heavy foot traffic, while the colour offerings provide warmth and elegance. LONMARINE WOOD features ultra-realistic graining detail with vivid combinations including teak, holly, mahogany and walnut.